From the Lakers, to the Dodgers, to USC and local high schools, MTM Business Systems has designed storage solutions for athletic equipment storage. 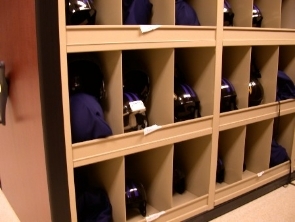 Athletic Equipment Storage ranges from pads and helmets to game tapes and player files. 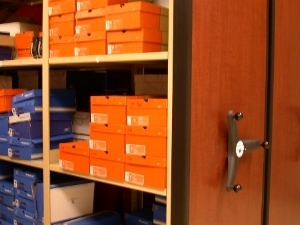 MTM Business Systems has high density storage solutions to meet your storage requirement for your athletic department. MTM Business Systems storage system specialists will work with you to a design a system that meets your storage requirements.